Kolkata is one of India's most visited cities and is a very useful base for excursions into the surrounding Bengal countryside. Bengal owes a great cultural debt to Rabindranath Tagore, and his legacy is very much on display within the university town of Shantiniketan. Other attractions suitable for day trips from Kolkata include the temples of Bishnupur and the remote mangrove forests of the Sundarbans National Park. Permits are often required when visiting parks in Bengal, so it is a good idea to book through an agency. This national park is found in West Bengal, a culturally rich region north of Kolkata. It is a world away from the traffic and congestion that characterises India's major cities. 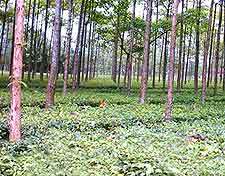 The forest is home to rhinoceroses, elephants, sloth bears, sambar deer and gaur. Gorumara National Park is more of a two- or three-day excursion from the city, as getting here requires a ten-hour bus ride through the upcountry. The town of Shantiniketan is best known for hosting Visva-Bharati University, founded by Rabindranath Tagores in the early 20th century. Travel to Shantiniketan is a must for anyone with an interest in Tagore. Be sure to pay a visit to the art museum and gallery on the campus grounds. Held every year at the end of December, the three-day Poush Mela fair is a must and draws huge crowds. This UNESCO World Heritage Site is the largest mangrove swamp on earth and is located to the south-east of Kolkata. The Sundarbans National Park is an alarmingly wild environment and it is therefore inadvisable to visit without a guide who knows how to avoid the hungry tigers. Visit sometime between November and April, when the rains have subsided. Drive north-west for about two and a half hours on National Highway 2 (passing Gopinathpur, Arambag and Joypur) to reach Bishnupur. 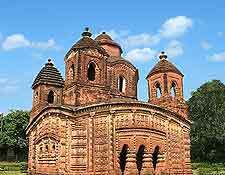 This town of terracotta temples is easy to reach, making it a favourite day trip destination for tourists from Kolkata. The list of temples in Bishnupur is almost endless, with the Rasmancha Temple being the oldest and dating back to the late 16th century, being built by King Beera Hambira. 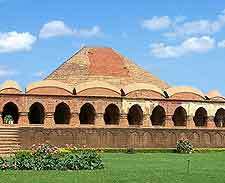 Bishnupur is also a good place to listen to traditional Indian music and buy handicrafts, such as balucheri sarees. 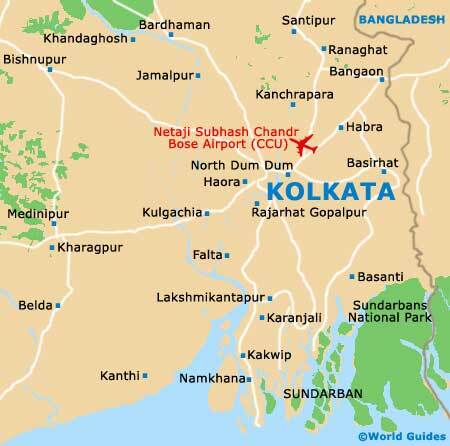 Located on the southern side of West Bengal are a number of appealing beach towns and resorts, which are around a three-hour drive from the city and offer long sandy stretches, unspoilt coastlines and an array of seaside attractions. 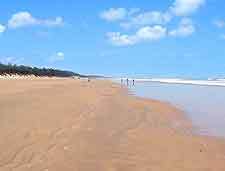 The most popular beaches reside within the towns of Digha, Frazerganj and Shankarpur, the latter of which features a lively harbour, lush plantations and a wealth of migratory birds. In Digha, the water is relatively calm and suitable for swimming, with the beachfront being near to a number of historical temples, based in both Chandaneshwar and Contal.